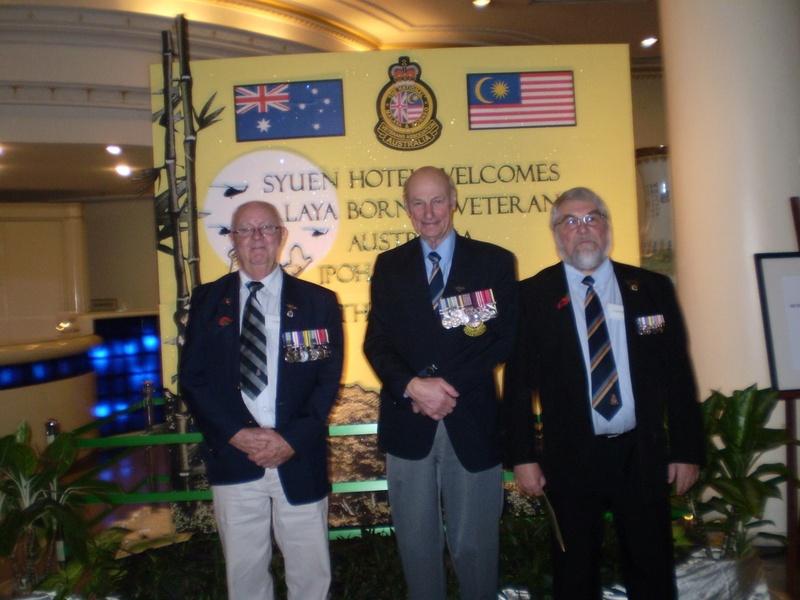 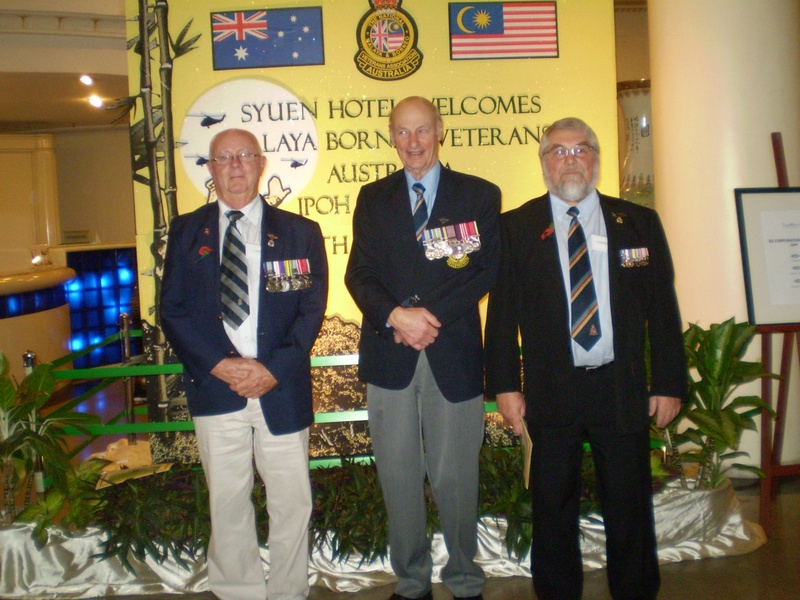 L-R. Gary Blaxter NSW, Ken McNeill & Herman VanderHoek TAS in the foyer of the Syuen Hotel, Ipoh, 2011. 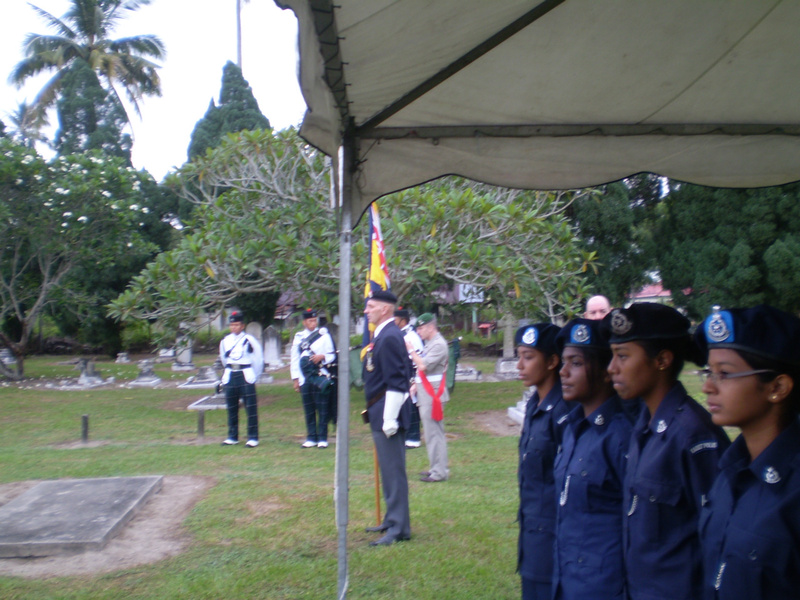 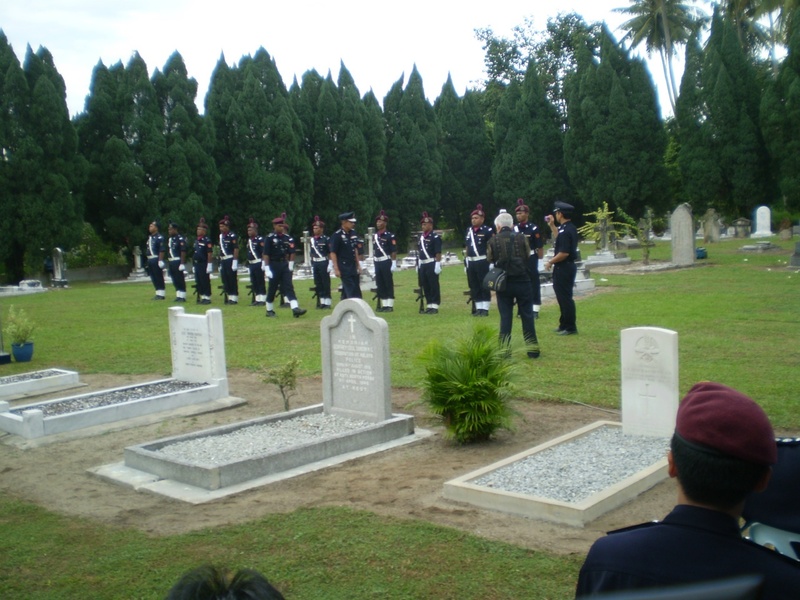 Malaysian Police Cadets line up for wreath laying duty. 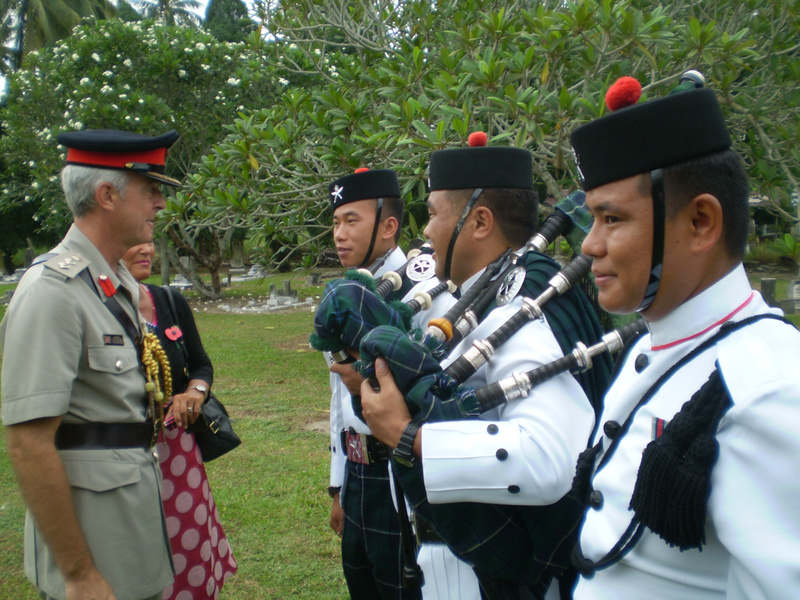 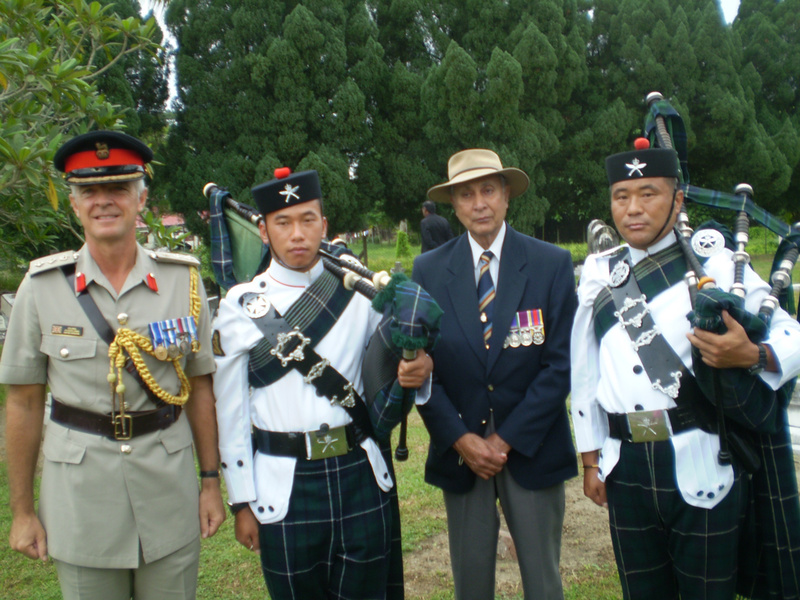 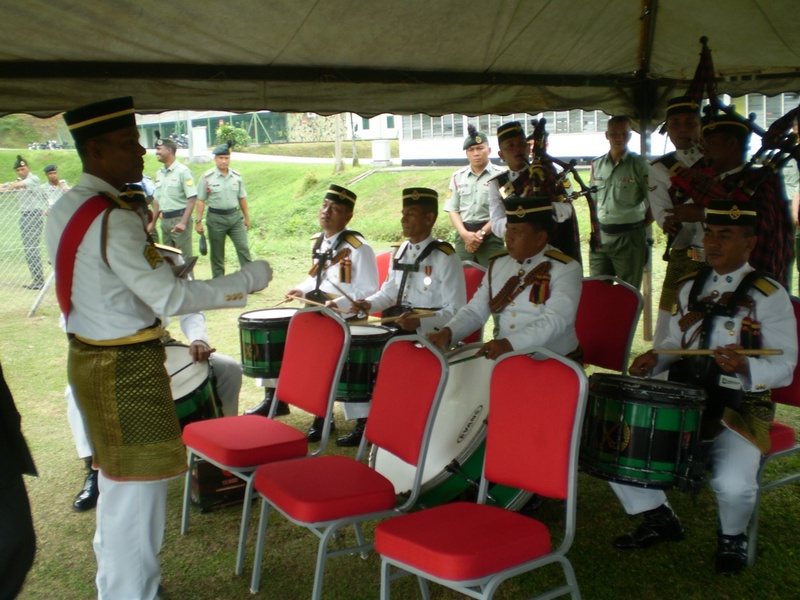 Col (now Brigdr) Jaques LeMay chatting to the Brunei Ghurkas Pipers. 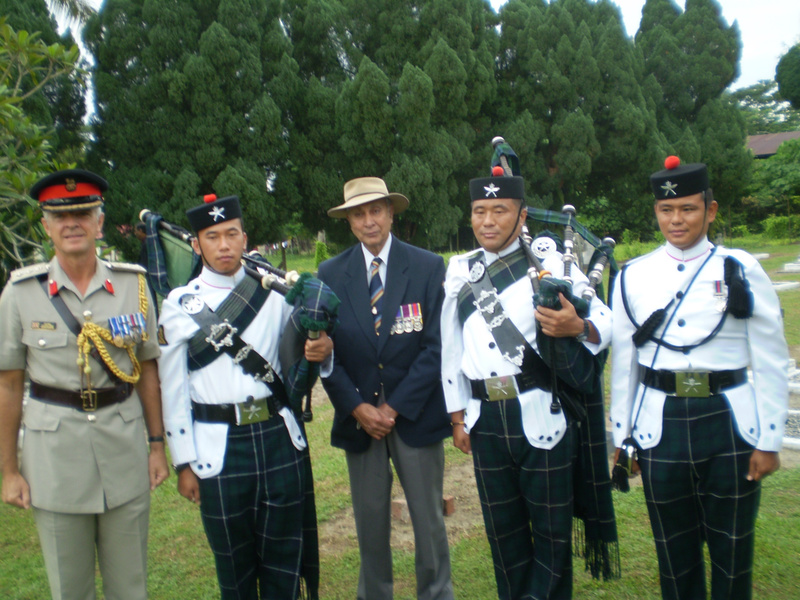 Jaques LeMay & Vernon Potger TAS, line up with the Pipers. 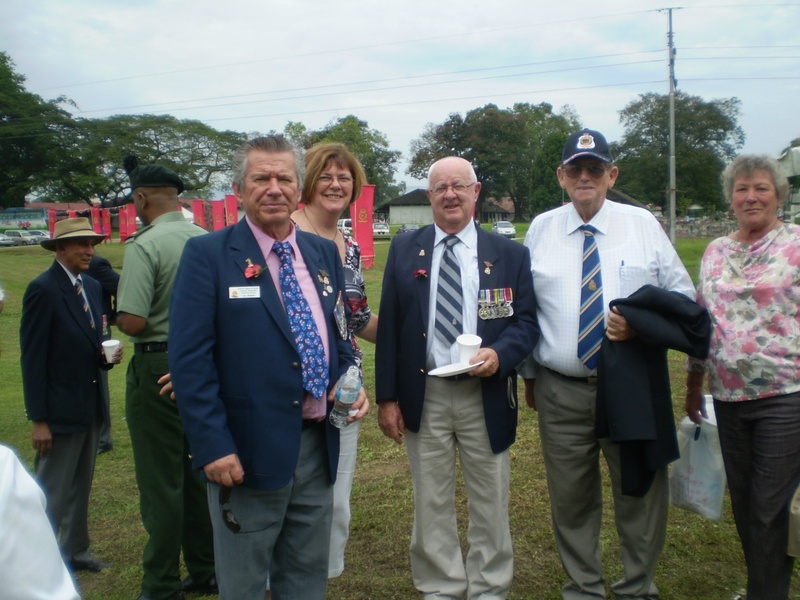 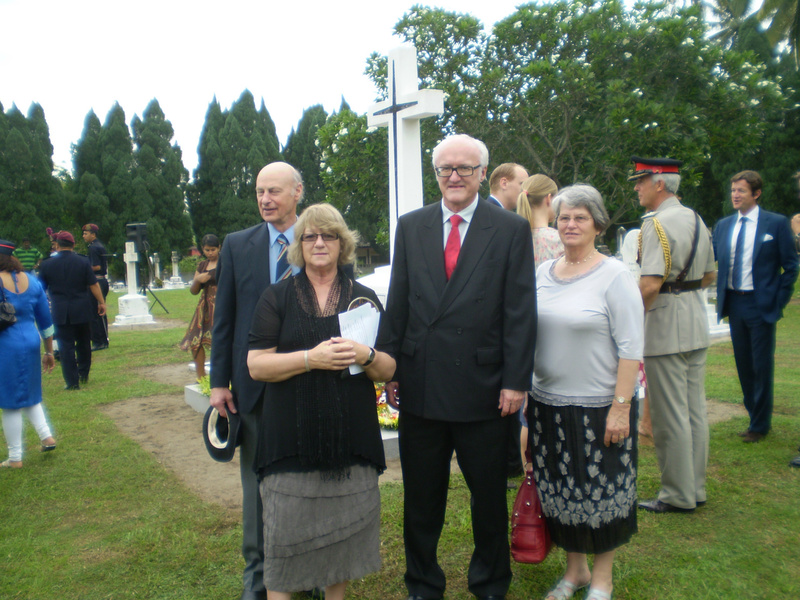 L-R Ken & Margaret McNeill, His Excellency, Miles Kupa, Monica Murfet. 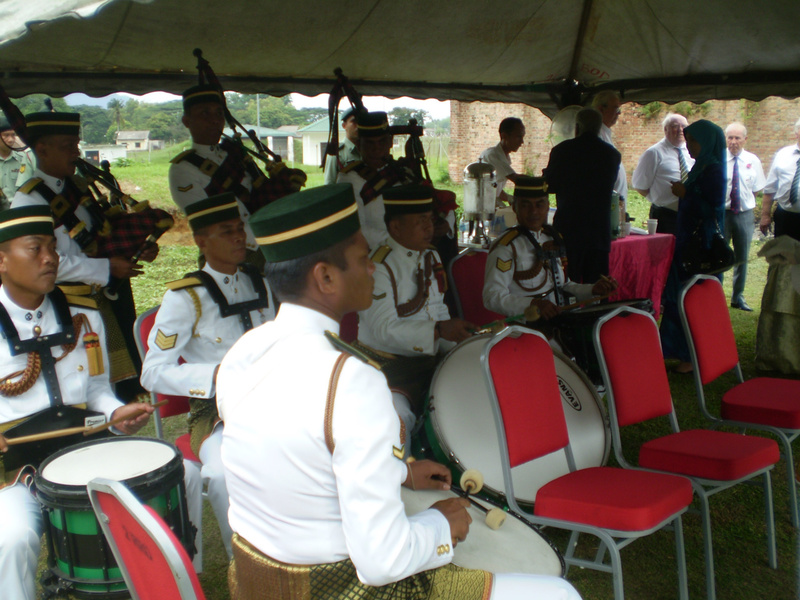 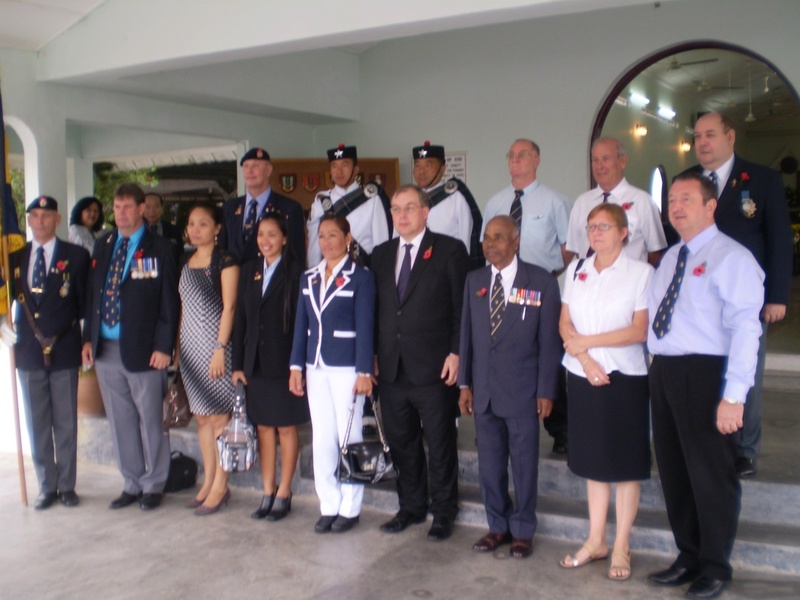 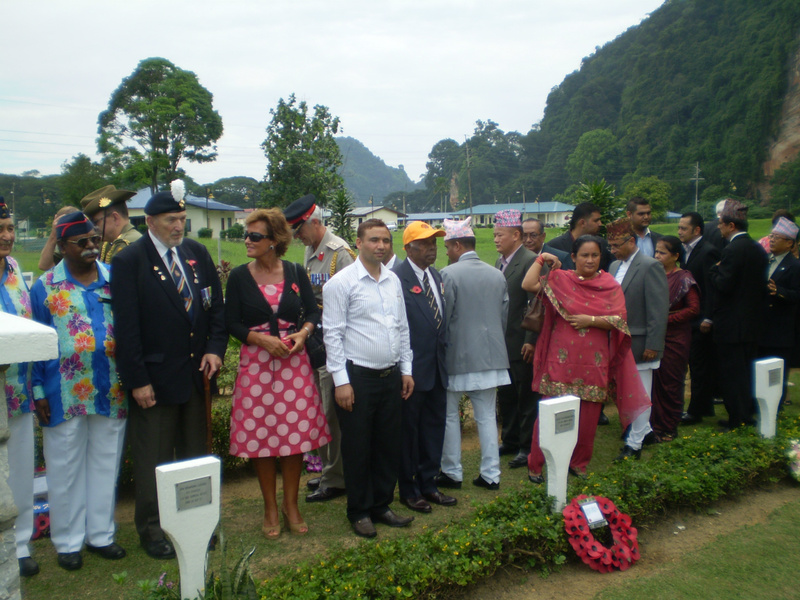 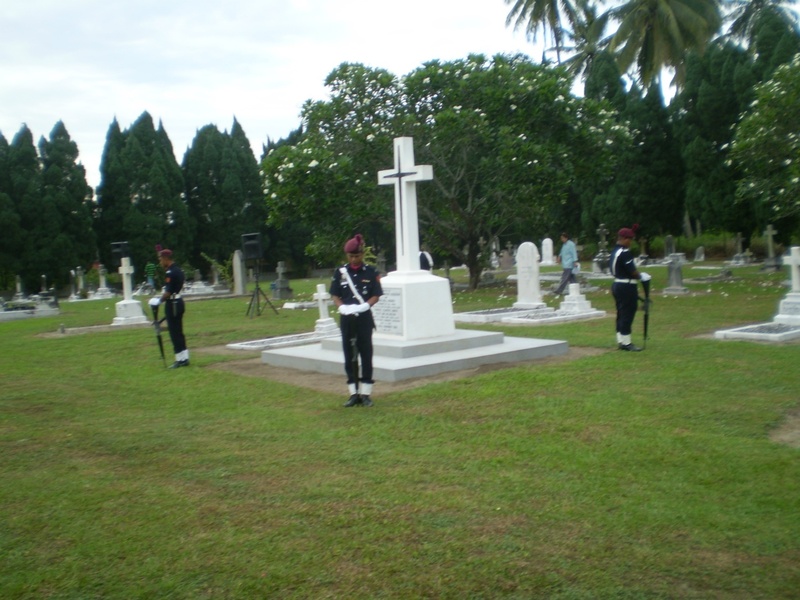 Brithish & Malaysian representatives line up at Holy Trinity Church, Batu Gaja. 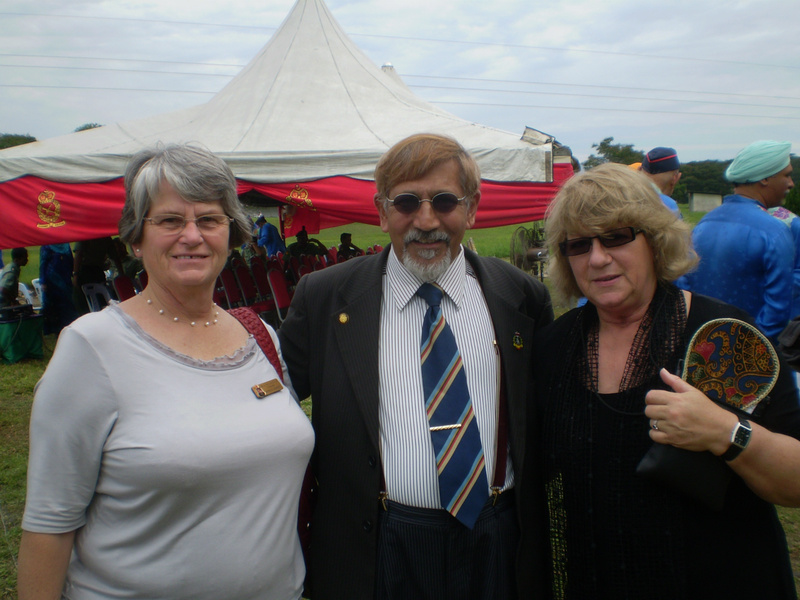 L-R. Monica Murfet, Yunus Ali, Margaret McNeill, at Syed Putra Rangers Camp 2011. 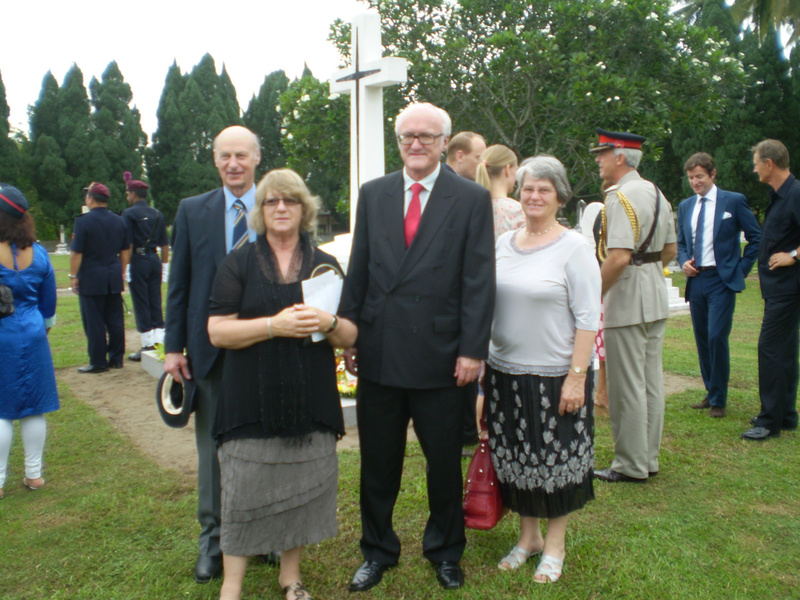 Jan & Brenda Huscha WA, Gary Blaxter NSW,Darrell & Brenda Fragall WA. 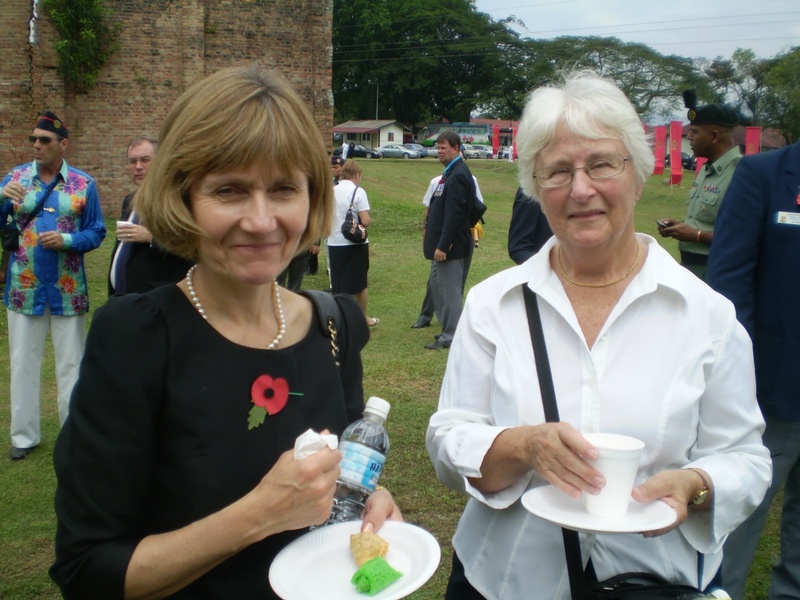 Gail Featherstone UK & Jan Blaxter NSW. 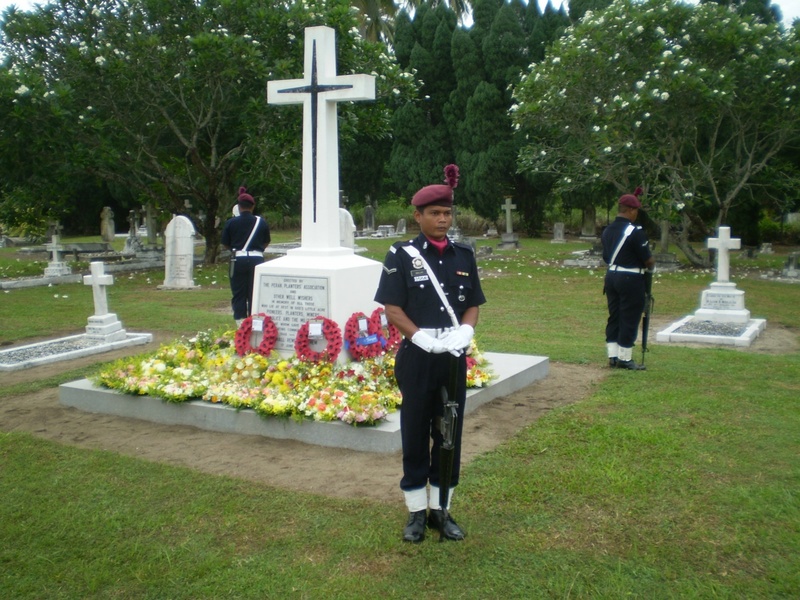 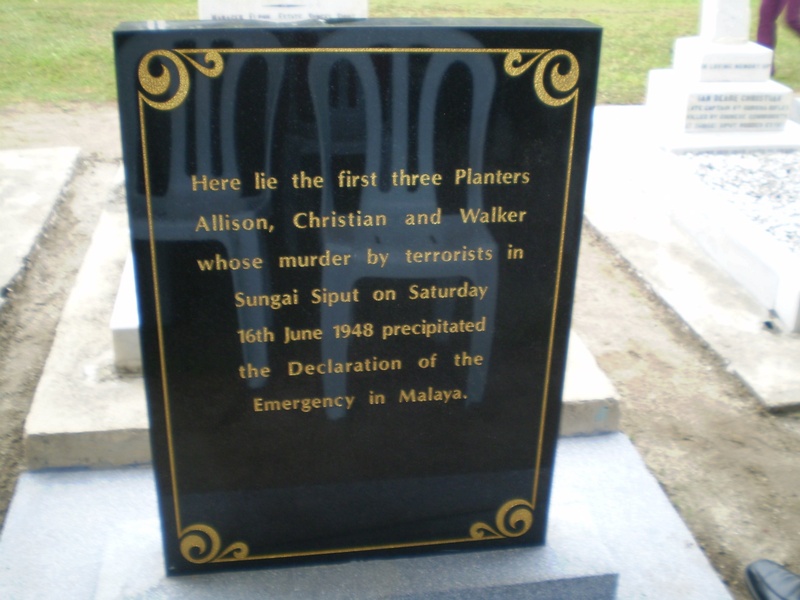 Ghurkas Graveyard at Syed Putra. 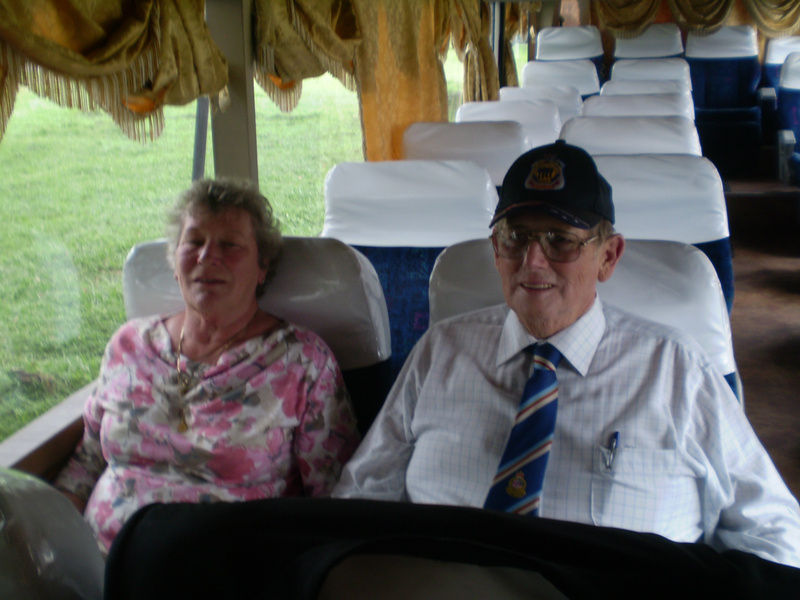 Sylvia & Darrell Fragall WA. 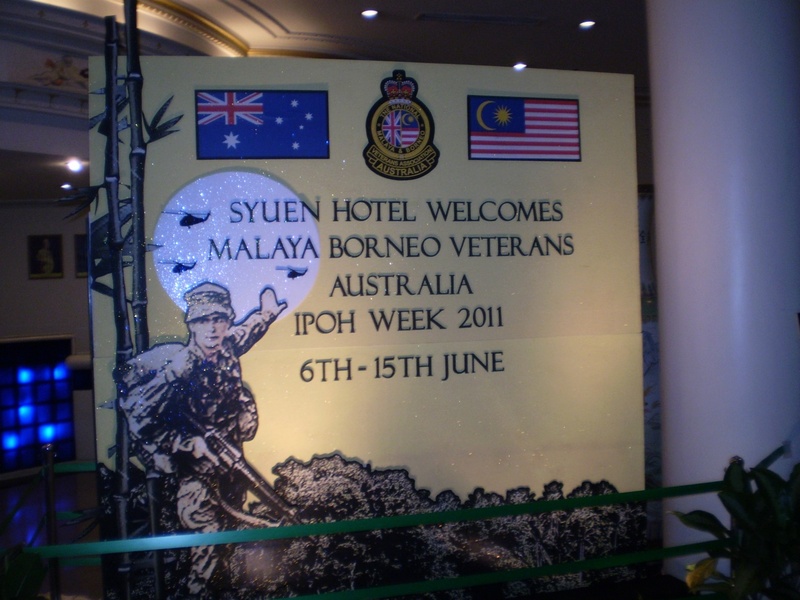 Syuen Hotels' welcome tribute 2011.